Dan Klennert has spent much of his time fishing as a child and as an adult. While he worked as a fishing guide throughout the rivers of the northwest, fly-fishing became one of his favorite sports. 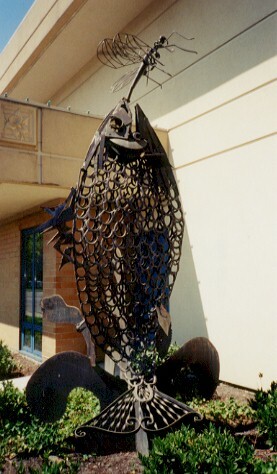 This sculpture is Dan’s vision of a fish jumping up through the waster to lunch on a dragonfly.